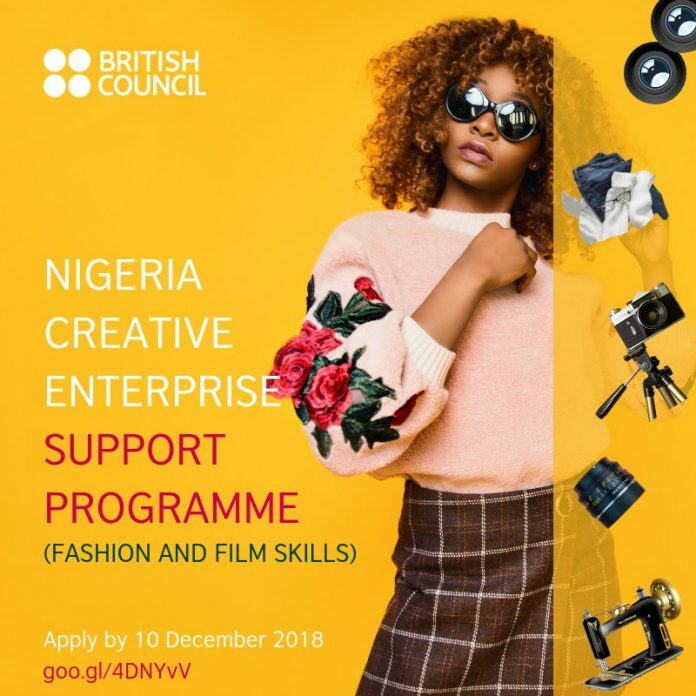 British Council is looking for 100 talented, dynamic young people (aged 18-35) with skills relevant to the fashion and film industries in Lagos, to support them to create new businesses and explore new livelihoods in both sectors. All the training is free and transport stipends will be provided to selected candidates who require financial assistance to participate. Unfortunately, we are only able to respond to shortlisted candidates. 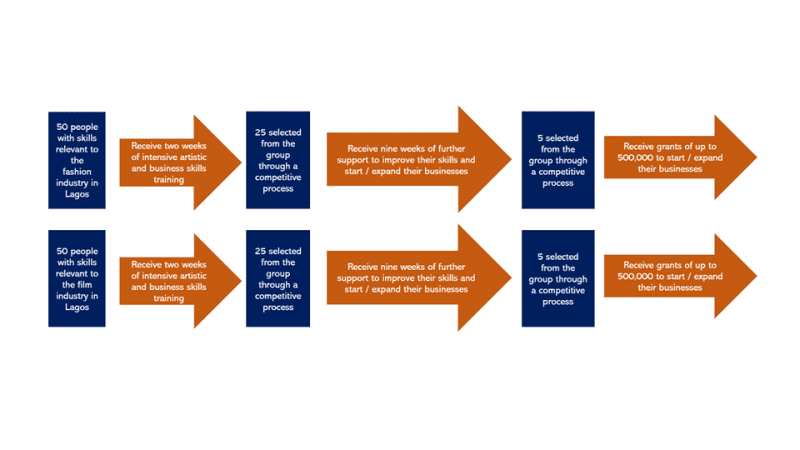 If you do not hear back from us by 21 December, please assume that your application has been unsuccessful at this time. By applying to this programme, you consent to your pictures and recordings of you being taken and used with regards to the programme for non-commercial purposes.